Color Line AS is a ferry company operating on routes to and from Norway. Color Line provides transportation for passengers and freight as well as providing hotel accommodation, shopping, restaurants and entertainment. The company was established in 1990 when two Norwegian shipping companies, Jahre Line and Norway Line merged. Jahre Line had operated ferries between Oslo and Kiel since 1961, while Norway Line had operated ferries from Norway to the United Kingdom and the Netherlands since 1986. During 1990 Color Line also took over the Fred. Olsen Lines ferry operations, thereby expanding the traffic area of the new company on the Norway—Denmark routes. In the Summer of 1996 the company began operating fast ferries between Norway and Denmark. 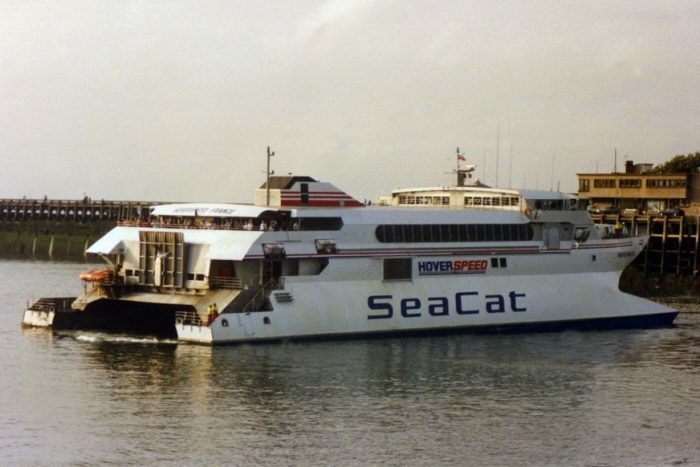 Initially the operations were in collaboration with Sea Containers and were marketed as colorseacat but from 1997 onwards Color Line became the sole operator. In October 1997 Color Line took over the operations of their competitor Larvik Line. In September 1998 Color Line acquired Scandi Line, which operated two ferries on the short routes connecting Norway and Sweden. At the end of 1998 Fjord Line purchased the Bergen – Newcastle route from Color Line. For the 1999 summer season the former Scandi Line ships received the new Color Scandi Line livery. They were fully incorporated into the Color Line fleet in 2001.